The group of TDs opposing the introduction of the proposed €100 household charge have said they are prepared to go to jail rather than pay it. Announcing a nationwide campaign against the measure, they said its success depended on backing from householders. Nine TDs are spearheading the campaign. They are Socialist TDs Clare Daly and Joe Higgins; People Before Profit TDs Richard Boyd Barrett and Joan Collins; as well as Independents Seamus Healy, Thomas Pringle, Mick Wallace, John Halligan and Luke 'Ming' Flanagan. 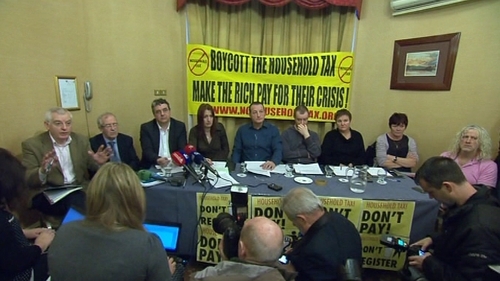 They have called on the public not to pay the new household charge. Clare Daly said that after three years of austerity the household charge "was the straw to break the camel’s back" and she urged householders to heed their call and resist paying. A spokesperson for the Environment Minister said Phil Hogan believes the nine TDs are irresponsible and are "engaging in a cynical, emotive PR stunt". He said it was wrong for Opposition TDs as legislators to encourage people to break the law. The household charge has emerged as one of the most contentious issues from Budget 2012 between the Government and opposition parties. The bill proposing it passed all stages in the Dáil last night, by 90 votes to 47. 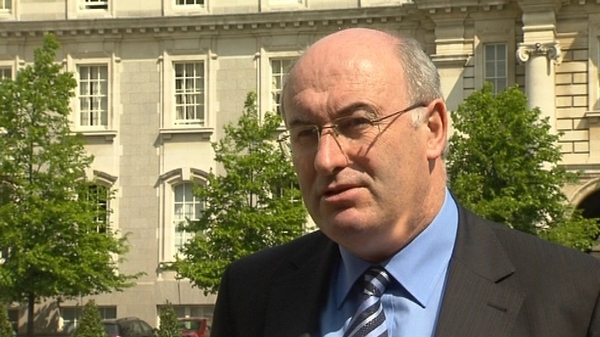 Minister for the Environment Phil Hogan has appealed to TDs calling on people not to pay the new Household Charge to pull back. Minister Hogan said they should stop encouraging people to break the law because it is a dangerous road to travel for our democracy. He said the charge is a modest one that he is obliged to introduce under the EU/IMF program and it is a small contribution for people to pay even though it is not a fair as he would like. Sinn Féin's Aengus Ó Snodaigh has said he will not encourage people to refuse to pay the new household charge because he will not be able to help them if they find themselves faced with fines or imprisonment in the future. Deputy Ó Snodaigh said he personally will not pay the charge, but he does not want people left in the lurch if they do not understand the consequences of their action.